Before We get into the tips, we need to know why teeth become discoloured overtime. There are a few factors which determine this, ranging from: genetics, the food and drink you are consuming and how well you practice oral hygiene. Cementum: Covers the root of the tooth. Enamel and dentin play the biggest role when it comes to the colour of your teeth. certain food and drink will directly stain your teeth, such as coffee, tea etc. But over time the two biggest culprits will be the junk food and fizzy drinks which will wear away the enamel. another factor is age. as we get older the enamel gets weaker and this causes yellowing of the teeth. Once this happens the yellow dentin underneath will become more visible. The following remedies will focus on whitening the teeth which have already lost some of their enamel. You need to mix several teaspoons of baking soda with lemon juice to form a paste. Wipe your teeth and any extra saliva off with a towel. put this paste onto your toothbrush and apply to your teeth, leave this on for 1 minute then rinse off. Do this twice a week as doing it daily could wear away the enamel quicker due to the lemon juice being acidic. Strawberry – high in vitamin c and helps break down plaque. Also contains the enzyme: malic acid which aids in removing surface stains. Salt – acts as an abrasive, helping to scrub away stain causing debris. 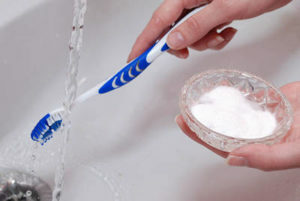 Baking soda – Also acts as a mild abrasive; gently scrubbing away stains to reveal whiter teeth. 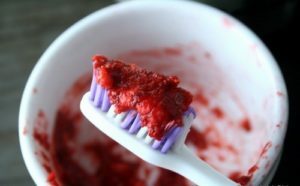 Mash the berries into a pulp and add the pinch of sea salt and 1/2 teaspoon of baking soda and mix well. wipe your teeth with a paper towel to remove excess saliva and then apply the mixture generously onto your teeth using a toothbrush. Let the mixture sit there for 5 minutes then rinse. You should do this every night until you start to see a difference. after that you can tone it down to 2-3 times a week to maintain that whiteness. It sounds a bit weird but coconut oil has great healing properties. it contains Lauric acid which helps get rid of bacteria found on plaque that can make your teeth yellow. 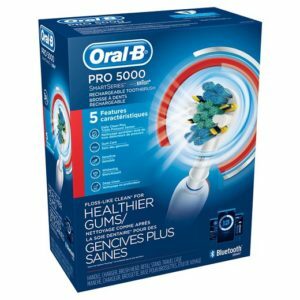 It also supports gum health and freshens your breath. Before brushing your teeth in the morning take a tablespoon of coconut oil and place it into your mouth and let it soften. 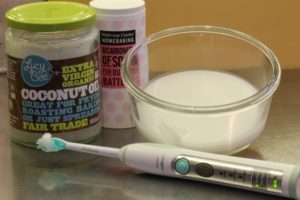 Push, swish and pull the oil in and around your teeth for 10 minutes, then spit out and rinse with water before brushing your teeth as you normally would. All the remedies mentioned above will help you on your way to getting your teeth into a whiter shade, but don’t think of these as magic cures, There Not!. As with anything else it takes time and patience to see results. Set up a routine and do this religiously for at least a month and you will start to notice a massive difference. It is a proven fact that they remove 100% more plaque than normal manual toothbrushes and are more efficient and gentle on your teeth. Combining the home remedies with an Electric toothbrush will drastically improve your teeth’s appearance and general hygiene. 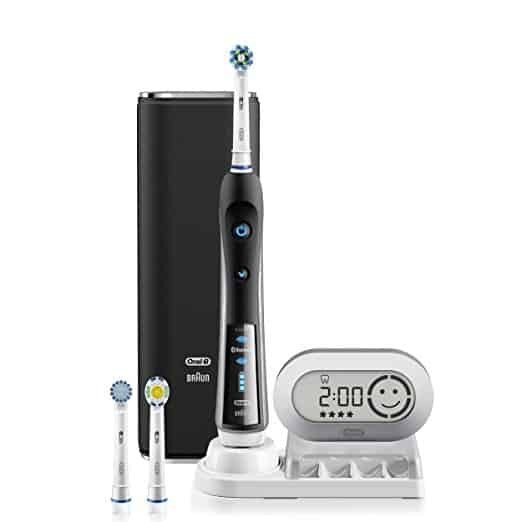 I recommend taking a look at the review I conducted on the Oral b 5000, One of the best electric toothbrushes currently on the market. I love this site. It is simple and to the point. 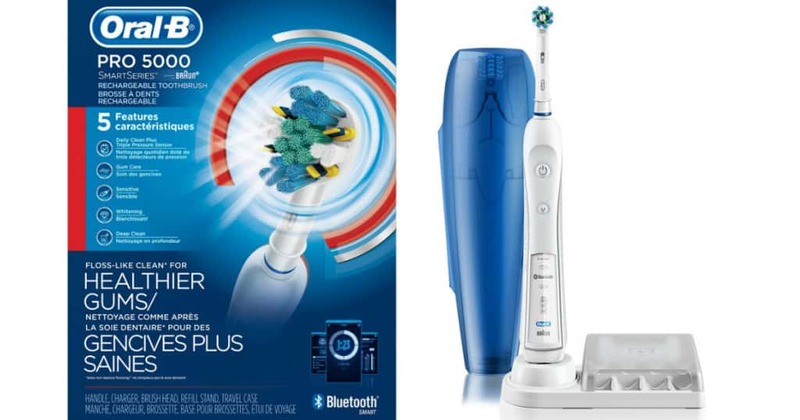 I am a fan of Oral B tooth brush also. I have the water pik as well. It does make a huge difference. I will definitely try the strawberry and also the coconut oil, since I have plenty on hand. Thanks for the valuable information. thank you for the kind words. i try my best to give valuable honest information on everything i recommend on here. Please do try the natural remedies as they will work over time. 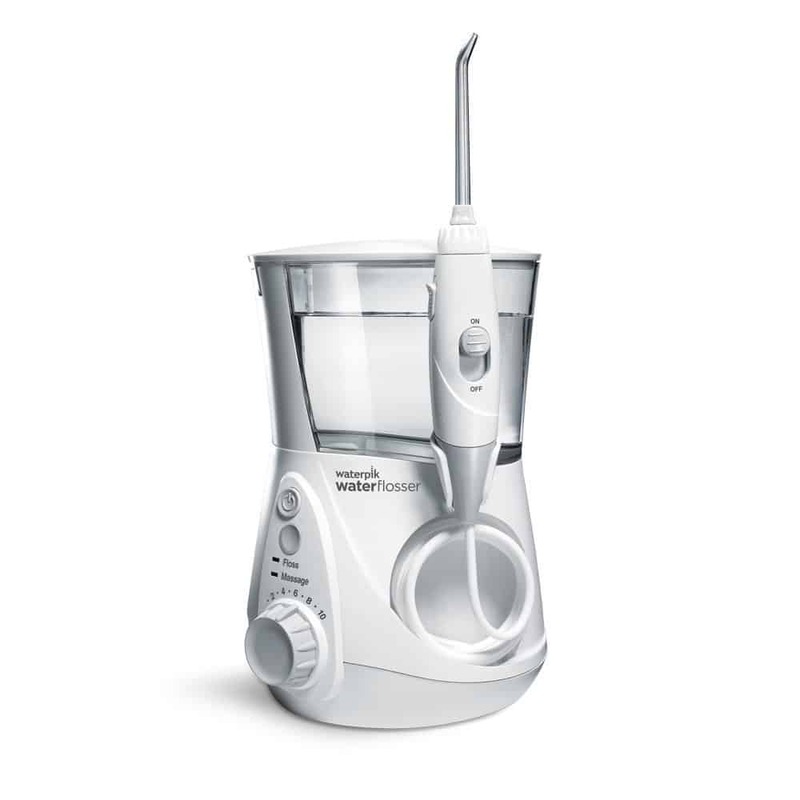 I will be writing more articles on organic treatments for oral hygiene problems so be sure to visit again.